Alright folks... it is time! Time to discuss my first ever styled shoot that I dreamed up, planned, and executed over the past weekend. If you are just here for the pictures :D no hard feelings, scroll to the bottom! For those of you who are new to photography and this is a goal of yours, the post may be helpful! For those of you who are experienced photographers, I value input! Please share! 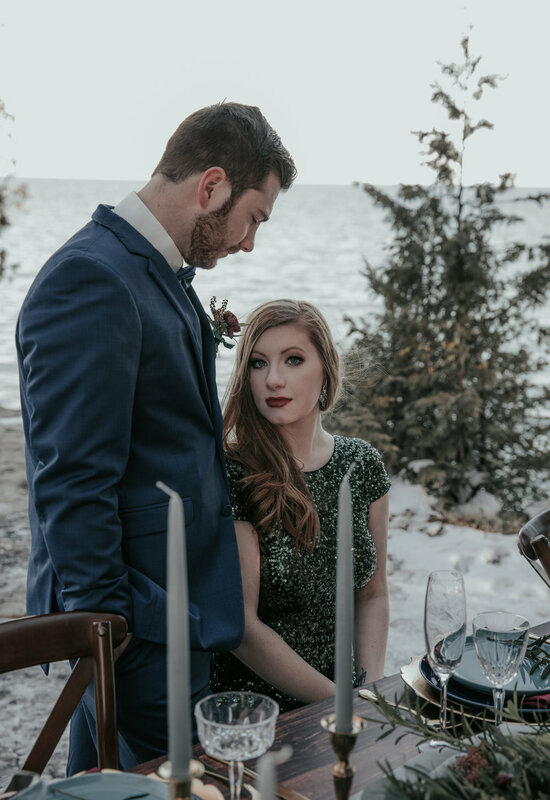 When I started planning my goals for 2018 I knew a Styled Shoot was on the short list. I had heard of it through many photographer/vendor circles and wanted to accomplish my own. It wasn't until attending a Rising Tide Society meeting in Appleton, WI that I realized my goals were achievable. It was a bit of a drive from my home town, Green Bay, but I made it to the meeting. Early. Nervous. Wide eyes wandering the room looking to connect with a like minded soul! Enter in Laura. Another creative entrepreneur like myself, she too was at her first meeting. We instantly connected. 2nd to enter, Sara, with Sara June Photography. Instant friends. So far I was enjoying the meeting. You see, I am an extrovert but even extroverts can be nervous. So far two new friends was worth the drive. Then the real 'ah ha' moment came. As we were sitting in a circle introducing ourselves, each individual talked to their dreams for 2018 and their accomplishments from 2017. I was inspired. More than that I was envious! These creatives had put their all into their business and were achieving goals left and right. It dawned on me...why can't a creative mind be successful in running their own business? THEY CAN BE! Last person to speak, Colleen Bies, from Colleen Bies Photography. As she spoke I instantly perked up! Not only was she a creative mind but an analytical mind, not too far from myself. I was intrigued to hear her speak of her experiences and how she contributes to the Rising Tide group but more importantly she was a BOSS LADY! She ROCKS her business. From that moment on I looked up to her. The meeting continued and I left feeling inspired. Additionally I left feeling frustrated. Weird I know. But it was frustrating to understand I was limiting my creative self and all that I can achieve. Now, I'm not saying I'm not successful in my business, I am. BUT I WANT MORE! Rising Tide and my new friends helped me realize that its not out of reach, there may be a mountain to climb but I have help to do it! So January started off with conceptualizing my shoot. Which basically adds up to hour and hours of Pinteresting lol. Let's be real here... it was like days maybe even months! The concept had to be perfect, fresh and new, but also attract my ideal clients. So I can tell this post is already getting long so I will start bullet pointing from here. 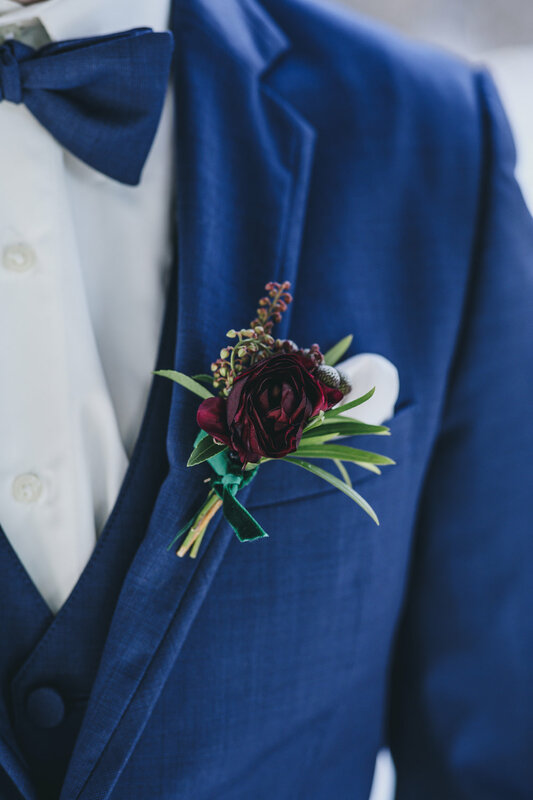 This is how I planned my styled shoot! What I would do differently. What I would do the same. And how I felt after the shoot. 1) Concept - What do you want to shoot? Where? When? Does it match your idea clientele? What vendors match this vision? 2) Research - What resources are out there to help you plan the shoot? Vendor email examples. Timelines. 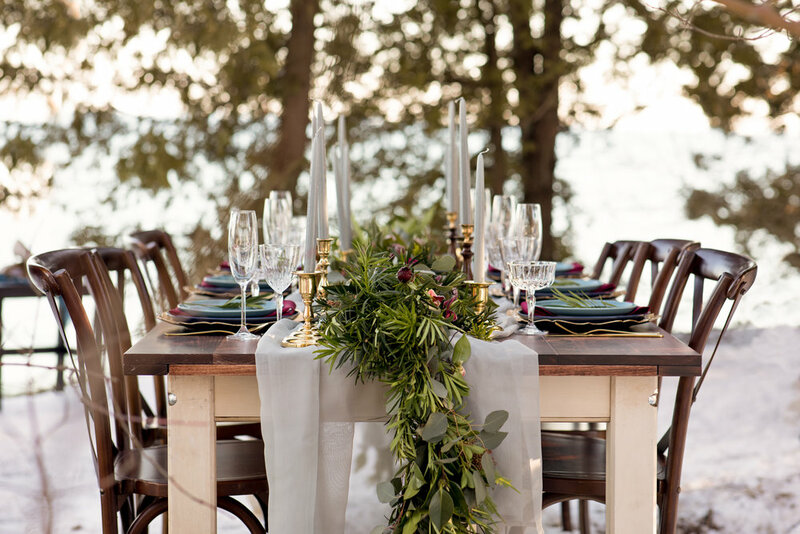 Rising Tide Styled Shoot Guide. Watch outs. Research your Vendors. 3) Planning the Proposal - Create a breathtaking proposals for you vendors. With a clear vision and creative statement of what you want to achieve. Create a picture with words to paint the vision for vendors. They should know exactly what you are trying to achieve and how you will help them with their marketing as well. 4) Send out the proposals - Let each vendor know why you specifically chose them. Each of my vendors were chosen for a reason. I am so happy I did this research because all of the vendors I worked with were AMAZING! 5) Vendors Sign On- In some cases you may have a vendor say no. However, best case scenario and in my case, all my first choice vendors signed on! The feedback I received from the Vendors, "It was due to my clear, unique vision and well thought out proposal". Take your time on the proposal step! It should not be an afterthought. You are selling your self! It won't go unnoticed. 6) Vendor Meetings and Expectations - I met with each of my vendors individually to discuss our creative ideas for the shoot together. It's a collaboration! They should have input with the creative vision. At this point we also discussed what was expected of myself as the Photographer and them as a Vendor. 7) Follow Up - Did you have 'do outs' from your meeting with the Vendors? Keep them in the loop. Let them know who is signed up to participate and what to expect. Stay in touch. COMMUNICATION is key to ensuring you are on the same page. 8) Be Flexible - My floral vendor could not make my original date. I CHANGED the date. I wanted to work with Ebb and Flow that bad. 9) Final Timeline - When you are approaching your styled shoot day, send out a final timeline expectation for your vendors. This way they know their time is valuable and being respected. They also see exactly what your game plan is for the day of. ORGANIZATION! You can't be too organized. 10) Execute - Its the day of the shoot! Come prepared for all situations. I played a what if scenario in my head to be 2 steps ahead of a situation. What if there is mud and table needs to be protected, clear plastic tarp. What if someone gets hurt, first aid kit. How will I help everyone keep track of time, bring my assistant along for time checks. 11) Post Production - This step is very important! You worked so hard to pull this off and you finally did! Make sure your vendors receive a thank you! They worked just as hard. Make sure you follow through on your promises. Whether that be online gallery of images at their disposal for marketing, or submitting to a publication. DO WHAT YOU SAID YOU WOULD! Also, tag away! Tag your vendors on social media! They deserve to be recognized as do you! This is simply a list of some of the major steps I took to plan my shoot. If you are new to photography and want more detail or to give this a whirl; I'd be happy to provide you a more in detailed answer on any questions you may have! Email below and some resource links! What would I change: I would have had more time for fun candid photos at the end of the shoot. It was very editorially which is what I was going for, but a little time for some fun shots would have rocked! My shoot was from 3:00 to 5:15 so you have a reference! What I would keep the same: Having an assistant and time keeper!!!! BIGGEST HELP EVER!!! Being organized. Communicating expectations. Being over prepared. Having multiple photographers. I know I know.. you want to be the only one with these amazing images. What about your vendors though? They have a wider reach with more photographers. Think of others and yourself, good things will come your way. Not only are you providing them options but you are creative a relationship with other photographers! Photographers you can bounce your ideas off of! My Mentor! I took on a photographer mentor to help me really start focusing on my goals. Guess who! Colleen Bies! 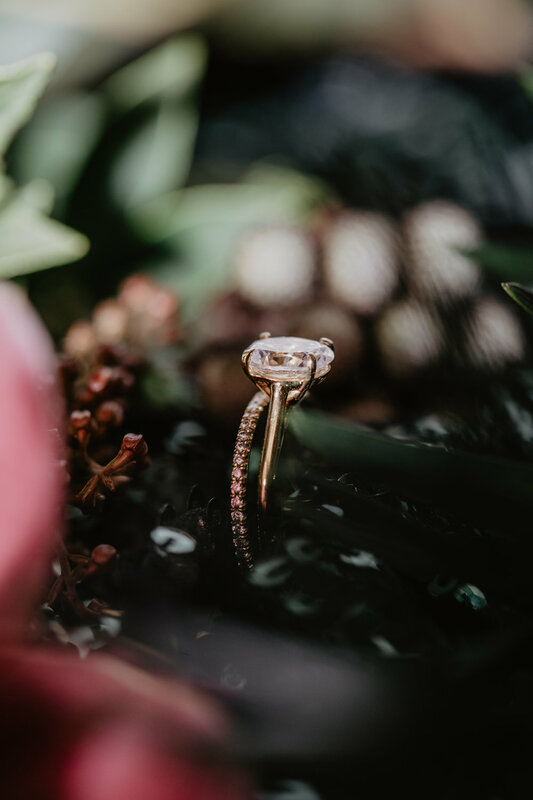 Vintage Farmhouse Tables - Ebb & Flow Florals - Cave Point - Cascading Greenery with Pops of Wine Colored Orchids - With Hints of Gold Accents - Jewel Tones Complimenting the Deep Stained Wooden Tables - Hove Photography - International Wedding & Elopement Photographer.